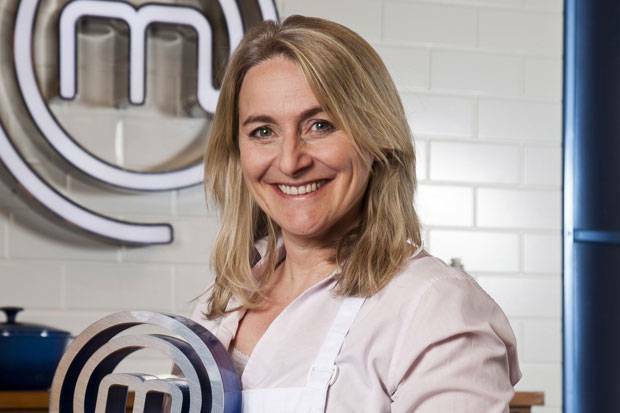 Well done TV’s Emma Kennedy on winning Celebrity Masterchef 2012! 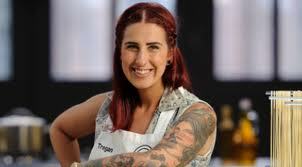 My favourite from the moment she graced my telly box. That huge grin, just-got-out-of-bed hair and infectious enthusiasm had me from the get go. I knew she was on to a winner with the starter (I had scribbled a similar combination in my little recipe book only days before) and that pudding! One of the best I’ve had at Koffmanns (la-de-dah, sorry!). Someone had commented on the Digital Spy page ‘OK that Emma won. But wanted Danny Mills to win. Greg & John loved his fondant pud, so why he didn’t win I’ll never know’. Because his main wasn’t 100%! The second that John criticised his trout I knew Emma had won. “It’s very weird putting on the MasterChef apron. It’s like getting an England cap and putting on an England shirt. It’s the culinary version of that. Not so much when you’re in the studio, but when you go on the outside challenges, you have the MasterChef badge on and you want to do them proud … It really is amazing. I can make tuile biscuits. I’m just happy with that. I can have that on my headstone. Emma Kennedy RIP, she could make good tuile biscuits. I’d take that”.